Actor Bruce Campbell announced he is retiring from his iconic role of demon hunter Ash Williams. "I bid you a heartfelt farewell playing Ash -- the character I took acting lessons with for 39 years," the 59-year-old actor wrote in a Facebook post Monday. The Starz show's third season finale on April 29 will actually be the series finale. "I am hereby retiring from that portrayal," Campbell wrote. "It's time. I followed Ash from his formative years thru his mid-life crisis and decline. What a thrill! What a privilege! We had a great resurgence with the help of Starz (kudos not jeers, folks). They made it possible for 15 more hours of Evil Dead-ness in your life -- the equivalent of 10 more features! Is Ash dead? Never. Ash is as much a concept as a person. Where there is evil in this world, there must be one to counter -- man or woman, it matters not. Thanks for watching." Starz canceled Ash vs. 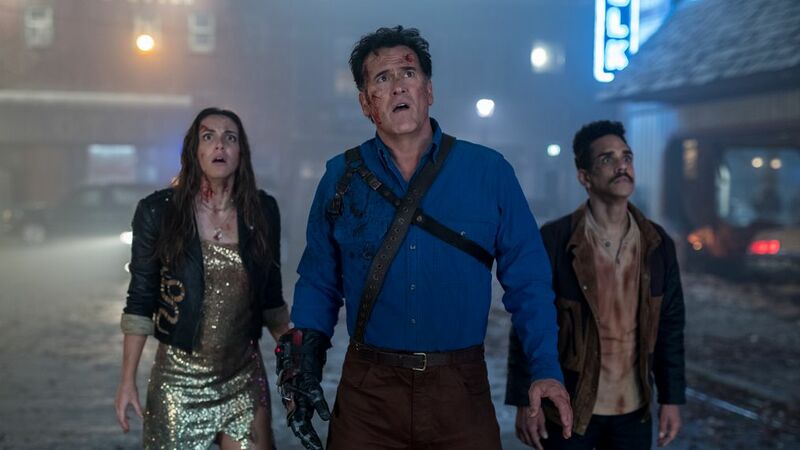 Evil Dead last week after three seasons and Campbell's message will likely quash fan hopes that the horror-comedy series might find a new home on another network or be followed up by a fourth film. Campbell previously played Ash in three Evil Dead movies dating back to 1981.